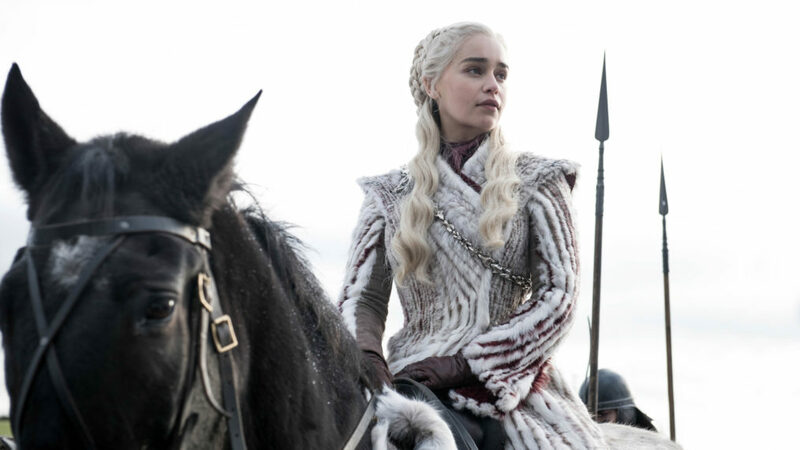 If you have three and a half hours to kill, you can listen to the entirety of Spotify’s new “Game of Thrones: The End Is Coming” playlist — which, according to GOT showrunners David Benioff and Dan Weiss, contains a massive spoiler about the end to the cultural phenomenon. This 1999 track is all about colonialism, oppression, and greed. But perhaps we can take it more literally and presume that some character, maybe the increasingly antagonistic Cersei Lannister (Lena Headey), will die and be burned in a funeral pyre — or, even more brutally, will be burned alive. Pay attention to these lyrics from this 1990 heavy metal song: “Ceasing never / On and on and on / Her stride is such / Mortals freeze / When she walks past.” One Reddit theory suggests a dead Cersei might be resurrected as the Night Queen to the White Walkers’ Night King. And speaking of reanimated characters, the inclusion of this 1990 thrash metal song on the playlist is almost certainly a reference to Arya (Maisie Williams) and her ability to impersonate her victims by using their faces as masks. The song starts, “How I've waited for you to come / I've been here all alone / Now that you've arrived / Please stay awhile.” Maybe Arya has been plotting a victory this whole time? If by howlin’, Benioff and Weiss mean Howland — as in, Howland Reed! Don’t forget, Meera’s dad was the only other survivor of the Tower of Joy battle besides Ned Stark, meaning he might know the truth that Jon Snow’s (Kit Harington) parents are Lyanna Stark and Rhaegar Targaryen. And if Howland does return to the plotline in present-day Westeros, perhaps he’ll validate Jon’s birthright to the Iron Throne. In this classic rock song from 1970, Robert Plant sings of “coming from the land of the ice and snow” and heading for the “western shore.” The wights and White Walkers seem water-averse, but does that rule out a double-pronged attack by land and by sea?